fisherman holding a Steelead trout. Take a look at fishermen showing off their catch. 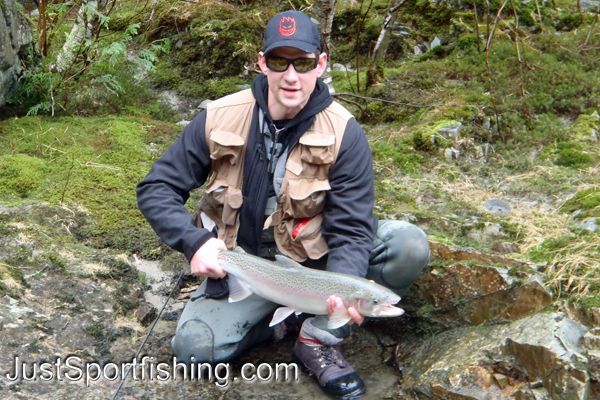 You can email us your fishing photos and we will post them here for you. Click on photo below to return to photo set. *NOTE - maximum size of photo is 1 MB and will be sized or cropped to best fit the website. By submitting your pictures you agree that you have the rights to the photo and that you allow JustSportfishing.com to place a small logo in one of the corners of the picture.